Molly looking really sad, laying on her new bed in front of the window. 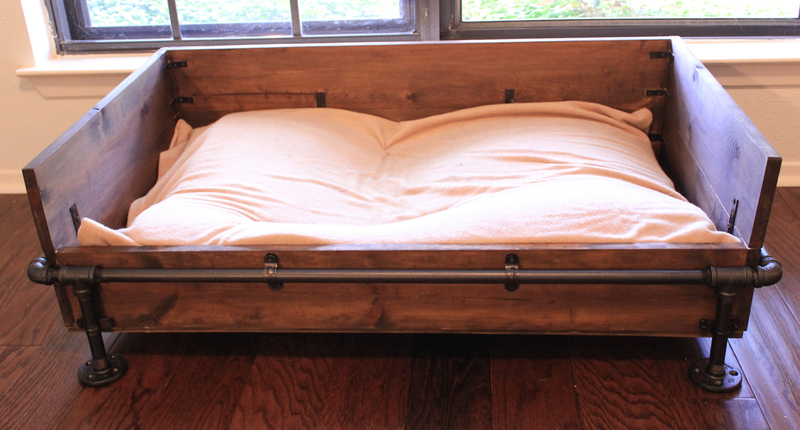 After I got the idea in my head, I picked up 6″ pine boards, an assortment of brackets, spray paint, and the metal pipe and fittings necessary to make a rectangular frame for the dog bed. 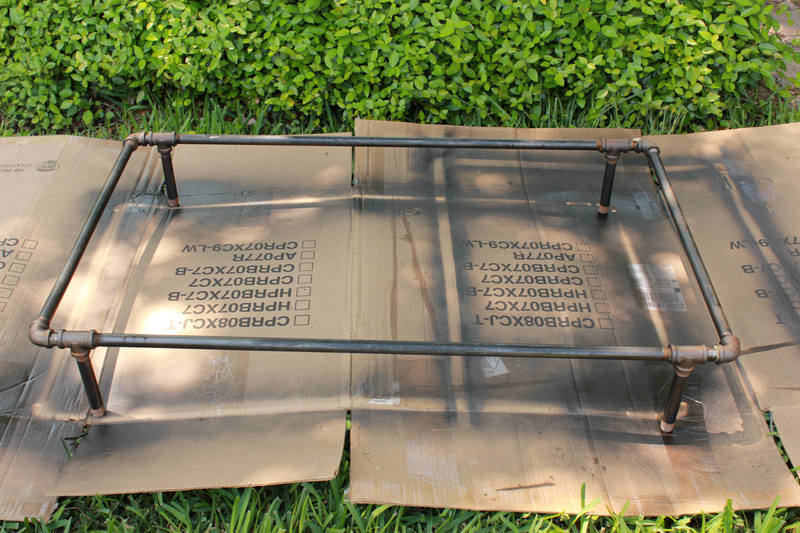 After bringing home the metal pipe and fittings, my husband and I assembled the rectangular frame with short legs. Because the fittings all have to screw together, and we were trying to screw a rectangle of parts together, we were constantly tightening one corner while loosening another corner. 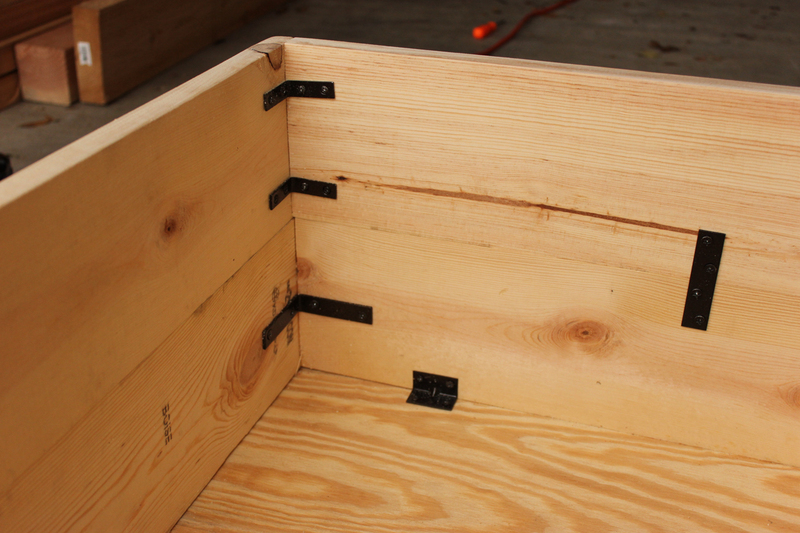 Eventually we got all the fittings to loosely screw together with the plan to glue the joints later for a firmer hold. 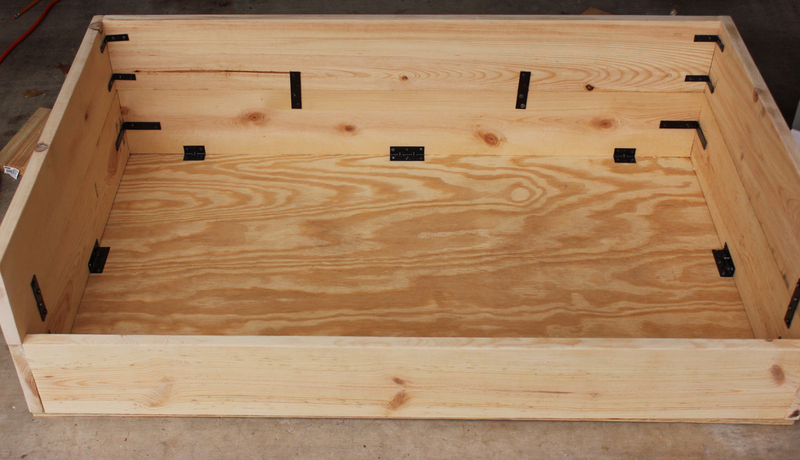 After creating the rectangle, I measured the inside of it to determine what size wood boards I needed. 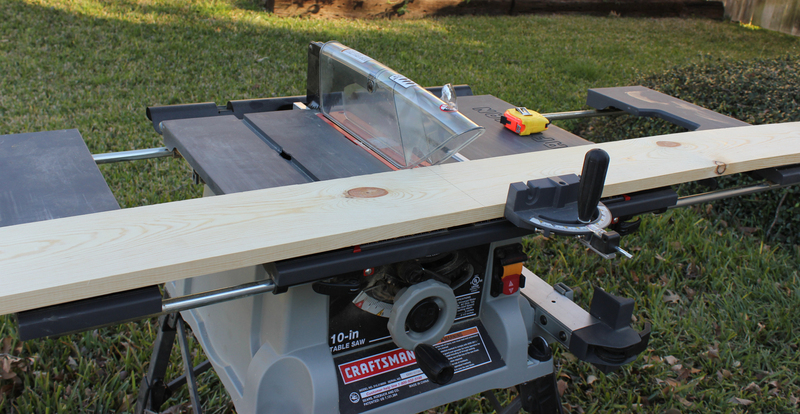 After refreshing my memory on exactly how to use the table saw, I got to work cutting my pine boards to size. Laying out the boards in to a rectangle. I put all the screws and brackets in a shallow box and spray painted them from all angles with Rustoleum Oil Rubbed Bronze spray paint. It took multiple coats to get all of the angles done so that no shiny silver metal was left showing. After measuring the same length from the end of both boards, and using the brackets as a guide to mark my holes, I drilled pilot holes and then screwed in the screws. For the corners I used L shaped brackets and for the tall sides I used flat brackets. After the sides were assembled, I attached the bottom with L shaped brackets that had 2 or 3 screws in a horizontal line on each side. A close up of the bracket varieties used. The next step was to stain the wood. I used Timbersoy wood stain, color walnut, from EcoProCrete that was left over from a previous project. The stain goes on thin, so I used a sponge applicator and applied multiple coats until it was as dark as I wanted. To seal the wood, I used Miss Mustard Seed Hemp Oil Wood Finish, also purchased for a different project. The oil is applied by rubbing it in with an old cloth. I used two coats for now. It gives the wood just a bit of sheen, which worked well for the look I was trying to create. 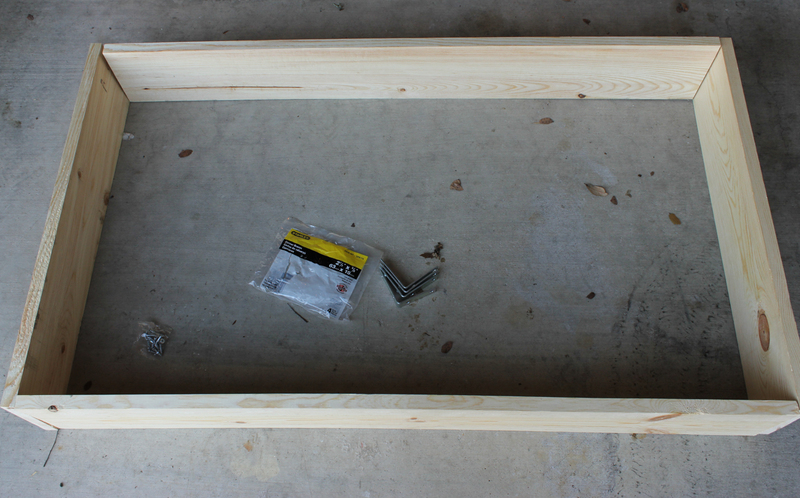 After that was done, I put the metal frame around the bed and used that as a guide to help make sure the short legs were straight before I glued everything in place. I used gorilla glue and a toothpick to try to force some glue into each joint. Gorilla glue expands as it dries so after I was done I had to use a box cutter to remove the excess glue from the top of the frame where it would easily be seen. It took me three tries to get all of the joints adequately glued. The next step was to spray paint the frame. 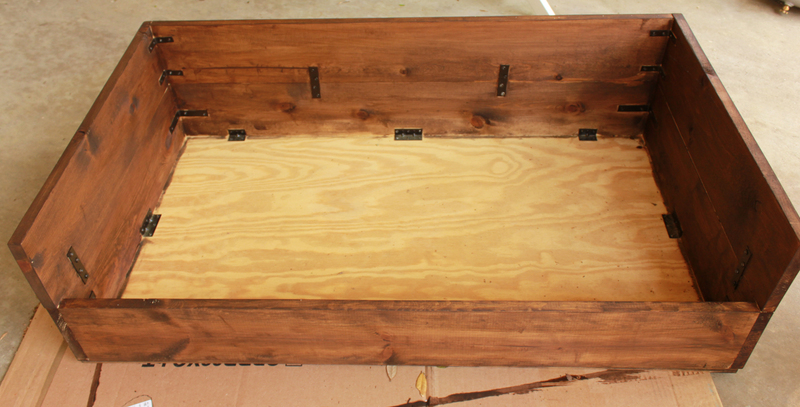 After adding the gaskets to the bottom of the metal frame, it was time to attach the frame to the wood box. 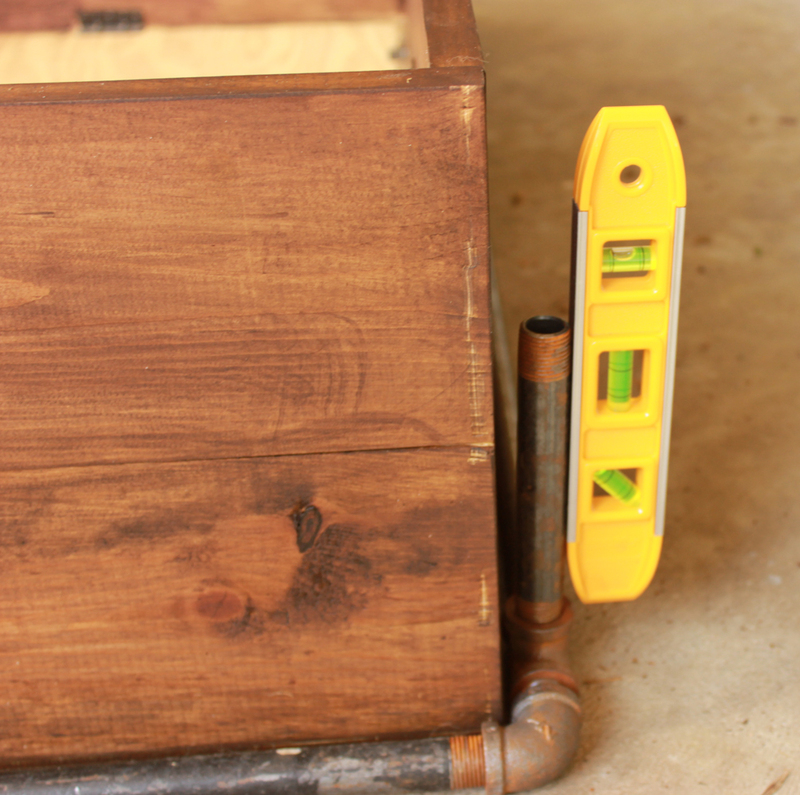 I used some scrap wood to set the wood box on so that it would not be flush with the floor while I attached the brackets. Getting the bed ready for final assembly. 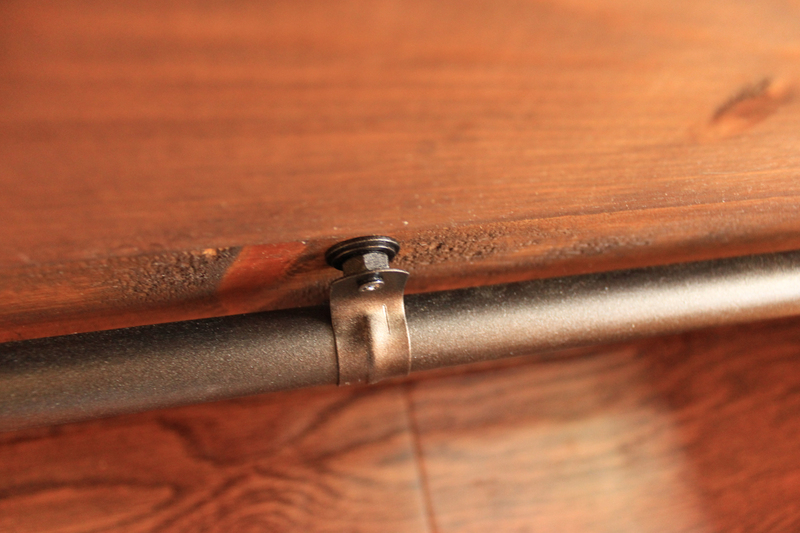 I used brackets that are meant to go with this pipe to attach it to the wood box. The only trouble was that the pipe doesn’t sit flush with the box because of the T and corner junctions. I improvised by using some large nuts and washers as standoffs for the brackets. 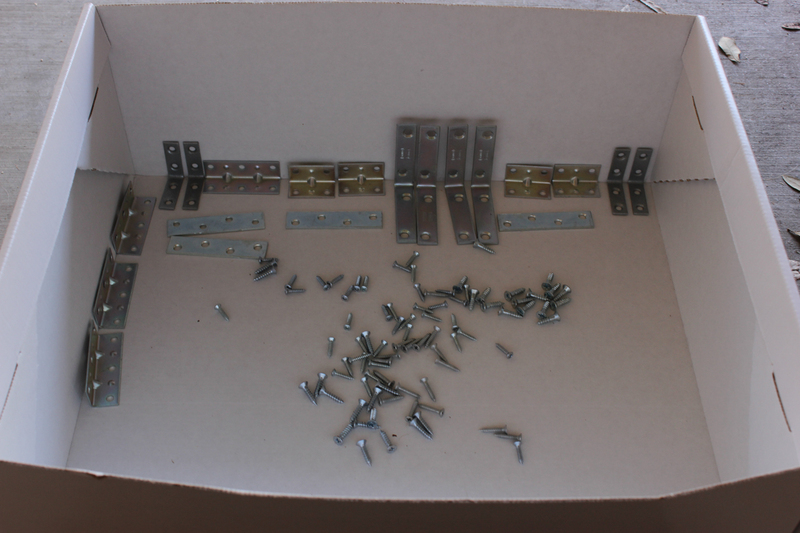 Spray painted brackets, with the washers and nuts used as standoffs to attach the wood bed to the metal frame. 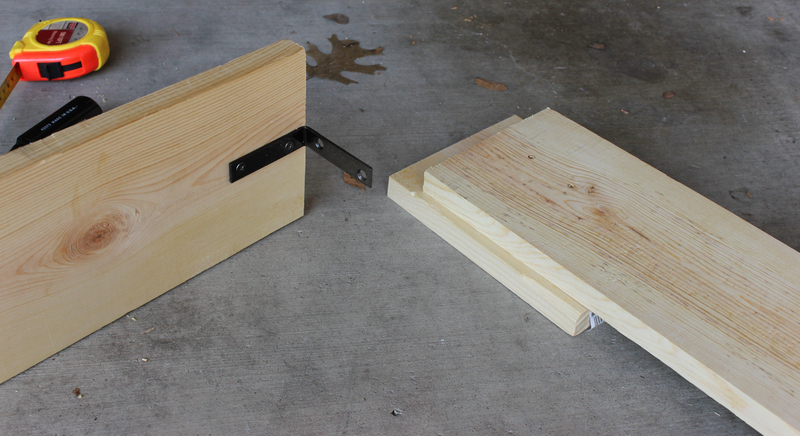 I also used brackets on the four short legs in case the glue didn’t completely hold in places. I used sticky rubber furniture pads on the bottom of the frame feet to keep the floor from getting scratched. New dog bed, old dog cushion. 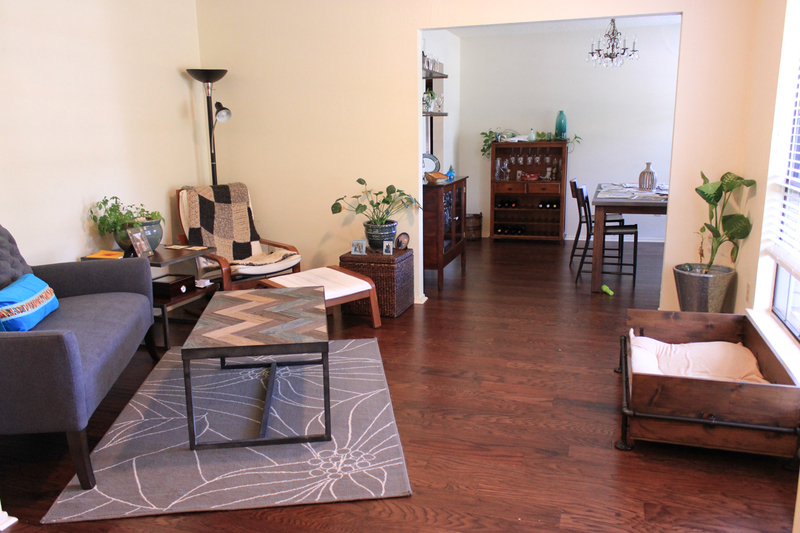 A view from the foyer into the sitting and dining room. 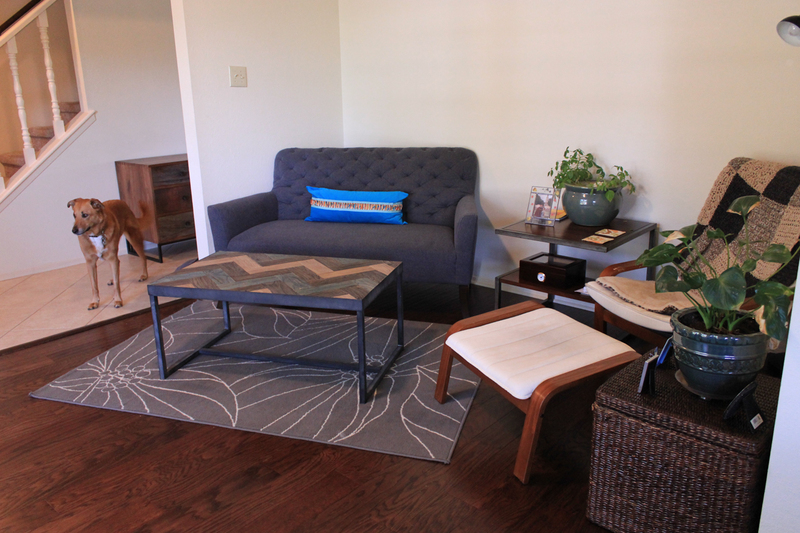 The relatively new couch, coffee table, and side table with the ancient Ikea chair. Still need to replace that chair. Oh, and the dog. 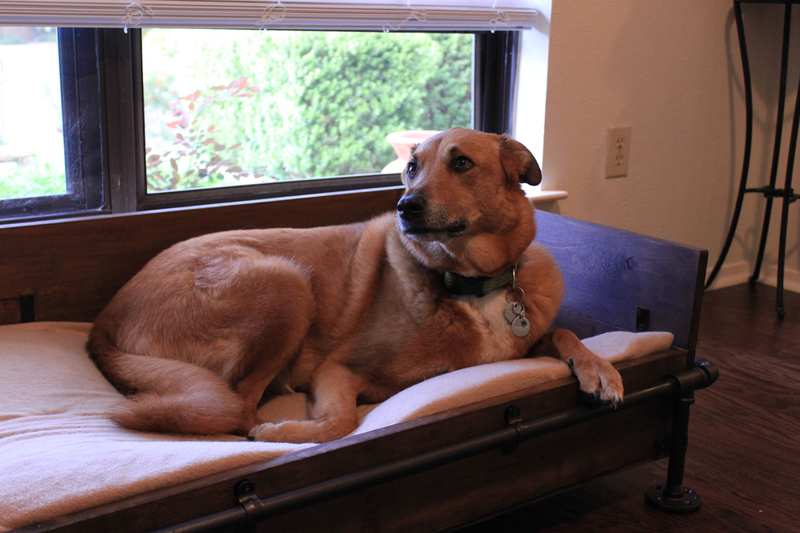 Molly forced to be a model on her new bed. It was a combo of screwing in one side all the way, then the other about halfway (which unscrewed the first side halfway). Then I glued all the joints for stability. It’s still together and gets plenty of use! Did you clean your pipe? If so what did you use? Love this bed! I just used water and a scrub brush, let it dry and then spray painted. Thanks! Laura, do you by any chance have the plans you used for this project? Are those 1×6’s you used for the frame? Also, what thickness plywood did you use for the bottom? Any info would be great. 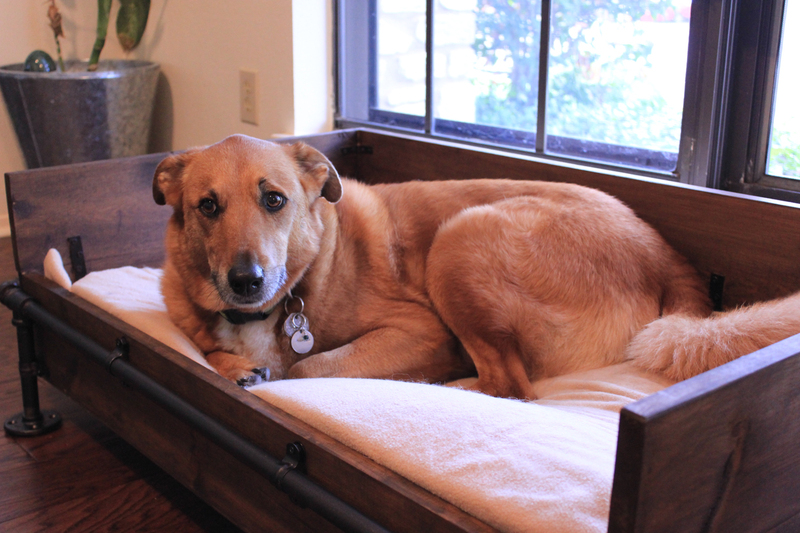 Hi Ryan – I didn’t really have plans, other than to figure out what size my dog’s other bed was and I used those dimensions as a starting point. I did use 1×6’s for the sides, stacking 2 of them on the 3 sides, and only 1 on the 4th side. The bottom is 3/4″ plywood. Some of this wood we already had, which is why I chose it. I think I got the pipe and fittings at Lowe’s, but I’m pretty sure Home Depot carries it as well. 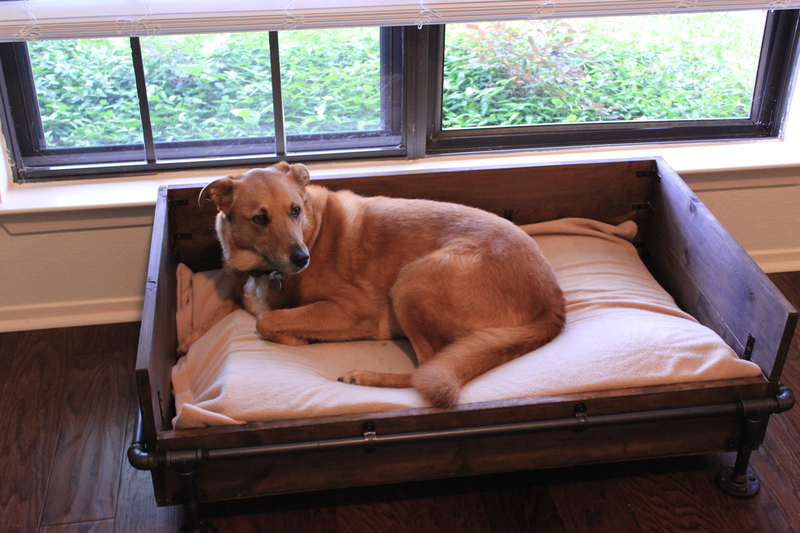 I didn’t need any extra support for the wooden box since the plywood was pretty thick, and my dog is only 50 lbs. 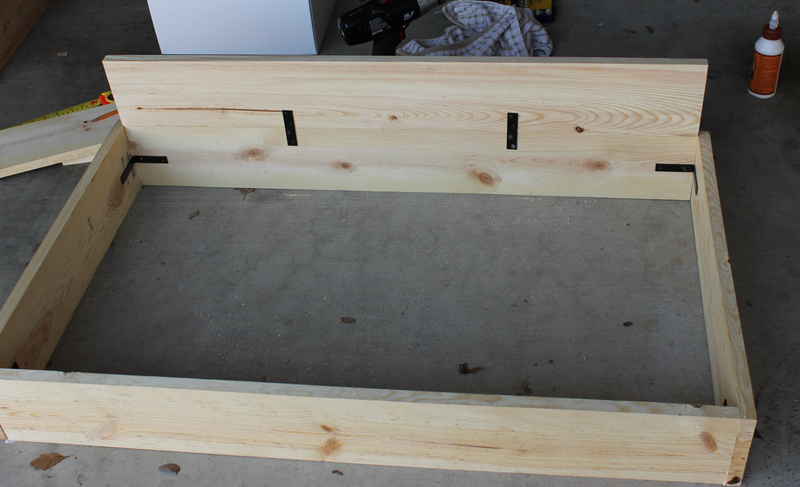 If you make a much larger bed, you probably want to add an extra support bar somehow. I hope it turns well!